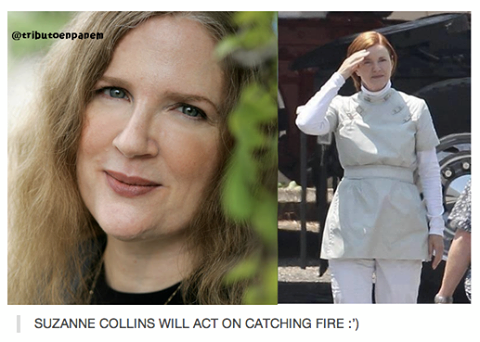 Suzanne Collins will act on 'Catching Fire'!. . Wallpaper and background images in the Catching brand club tagged: catching fire the hunger games cast movie on set suzanne collins. This Catching brand photo contains portret, headshot, and close-up. There might also be goed gekleed persoon, pak, broek pak, broekpak, and kostuum broek.